When you’re performing science shows in schools, you get to meet so many interesting people. It’s one of the best things about touring with the Shell Questacon Science Circus. You visit communities in ways you’d never be able to if you were just there for a holiday. We (Maddy and Ellen) had one such adventure on the final day of our four week Far North Queensland tour. The trickiest part of going to school shows is navigating your way there. Maddy started the day with an absentminded drive up a winding tropical road that, as it turns out, was not the way to the school. Ellen eventually got us back on track and we headed for Babinda, a beautiful town near Cairns. It was the last day for a lot of things – our last school show, the students’ last day of school and our last chance to sightsee. We wanted to find some crocodiles before we left Queensland. We thought this could be the day. While Ellen prepared slime for the show, Maddy got talking to Jamie, a parent who attended our public exhibition the night before. 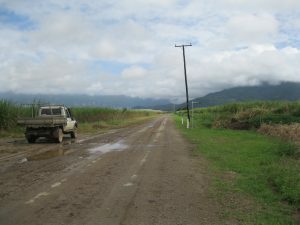 He worked on the sugar cane fields, but he had the day off because it was pouring with rain. We told him about our quest for crocodiles and he said he knew a spot where they hang out. If the rain kept up, he might even be able to take us there. We were keen. Three schools came to watch our show. The audience helped Maddy write a song about elephant’s toothpaste, Ellen got children covered in slime and the rain pattered away on the roof. As we packed up, Jamie confirmed he had the day off. Ellen checked with the principal that he was a good type, and we jumped in his truck. 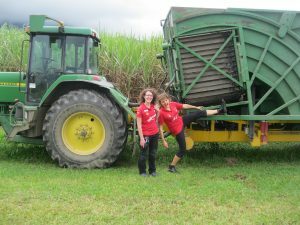 Jamie drove us through the sugarcane fields where he worked every day. It was good to learn more about the crops we’d spent the last month driving through. And it was great to actually get onto a farm – we had to stick to sealed roads in our hire cars. We hit up a few crocodile hotspots but couldn’t see any. Jamie’s boss told us they were probably hiding in the river. This was not a hugely comforting fact. 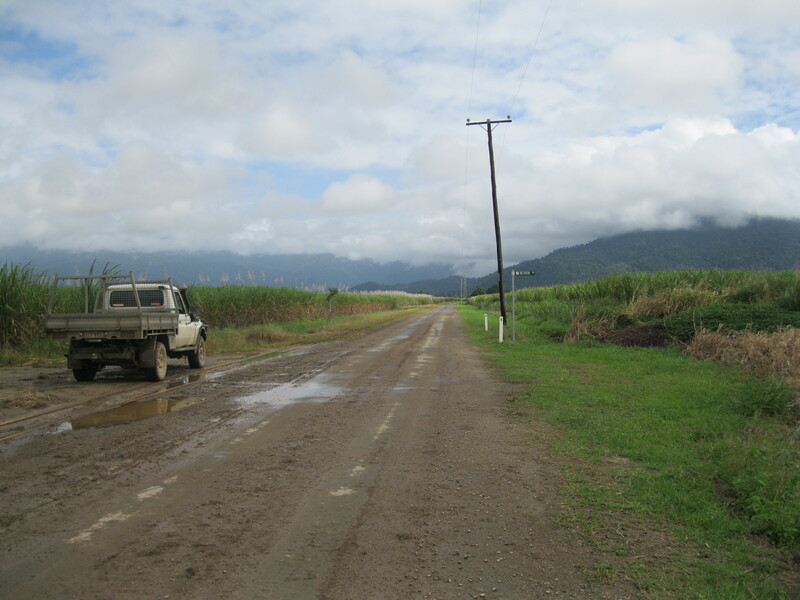 The road was starting to get too muddy for the truck, so we decided to drive around Babinda. After a spot of fishing, Jamie showed us his tractor and a sugarcane harvester. We were learning that sugarcane harvesting involves a lot more work than we would have guessed. Next we returned to that winding tropical road which led to the Babinda Boulders. Jamie showed us the notorious spot on the river which has claimed the lives of a mysteriously large number of young men. 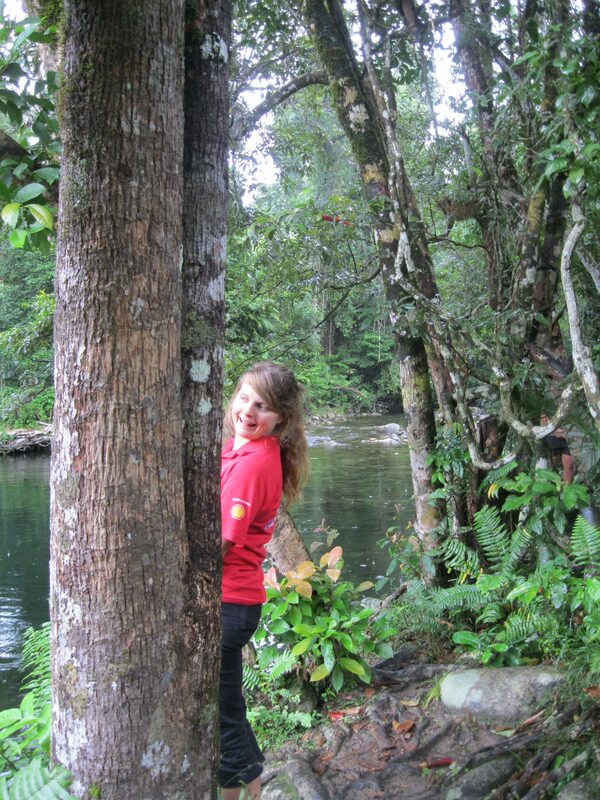 We had a walk in the rainforest, and by then we all had the local bakery on our mind. We thanked Jamie over lunch for the most interesting final day of tour we could have hoped for. It didn’t even matter that we didn’t spot any crocodiles in the end. Travel is always exciting, whether or not you find the reptiles you’re looking for. But we think science outreach is one of the most exciting ways to travel. You never know who you’re going to meet. Maddy and Ellen are travelling all over the country delivering science shows as they gain their Master of Science Communication Outreach. This one of a kind programme provides students with specialist training in science communication, using science media across platforms, engaging varied publics with science and managing science events and outreach operations. Applications to enrol in next year’s programme are now open. Students are supported by a stipend, and are eligible for Commonwealth Supported Places. This entry was posted in sci com not elsewhere classified... and tagged science outreach, shell questacon science circus. Bookmark the permalink.